Hands-On Power/Sail Boat Instructions conducted by a USCG Licensed Captain, Hands-On Captains Training Courses for Captain's. * You have access to the Mid-Island Maritime Services, Inc. training boat fleet. We have 6 vessels ranging from 14' to 30' in our training fleet. A full service Marina and training dock is currently being constructed in South Freeport. Students who enroll in our hands-on boating instruction classes will have full use of these vessels and this marina for their hands-on power boat instruction experience. We have a large staff of USCG licensed captains who have been certified by Mid-Island Marine Services to instruct on the water power boating instructions on your boat or on any of the boats in our fleet. *We do not limit the amount of classes that are held during the season. We have a rolling admission policy. As classes fill up, more classes are scheduled. *We offer hands on Boating experience (pilot in command time) and references for new captains. In reality, not too many charter boat owners are going to hire brand new captains as soon as they finish their training to run such expensive investments. We offer you the opprotunity to learn at the helm of our charter boat. You will gain priceless knowledge and experience from our staff. After a while, you are able to use our company as a reference to begin your maritime career. Instructor, 100 Ton Master with towing endorsement, navigation specialist, piloting and Seamanship, Launch and tug boat liaison, commercial transportation, marine technician, ferry operations. Capt. Cooke is the current CEO and chief instructor of Mid-Island Maritime Services, Inc. He also writes articles from time to time for the "Long Island Boater's Word," his next article "To Become a Captain" will be in the May edition. Thank you for taking an interest in SeaStar Charters/Mid-Island Maritime Services, Inc. This company is my pride and joy. I am glad that the company has given me the opportunity to continually grow, learn, and excel. Boating, teaching others, and watching people grow is what I do best. 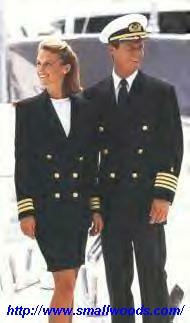 I have been in the maritime industry for a while now and I can not find anything better. In many cases, I will be out on the charter boat or the "Miss Freeport III" and someone will come up to me and say "I remember fishing with you when I was a little boy." Of course it makes me feel old but it also gives me a good feeling knowing that I was a part of making a child hood memory for someone. It gives me an even greater feeling knowing that I am helping to make boating safer for everyone. A few years ago when I read through the statistics, I was shocked. The one thing that I remember reading amongst the 180 pages of coast guard statistics was "80% of boating accidents in 1998 involved boaters who had not had any prior education or experience on boats" (USCG.org). At that time, I knew something needed to be done. This organization gave me the opportunity to help the cause. Well, enough about my rambling. I hope to see you all in class and out on the bay. If you see my charter boat "Celtic Girl" or any of the Miss Freeport Fleet boats, give a wave...."